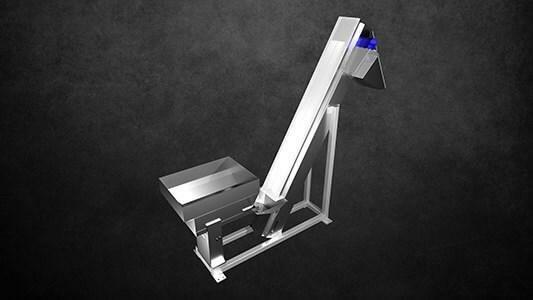 Regulate part flow into your feeding system with custom hoppers and elevators. 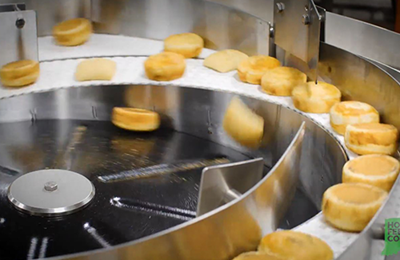 Sometimes the bulk delivery of parts to a feeder is the key to efficiency of the entire feed system. 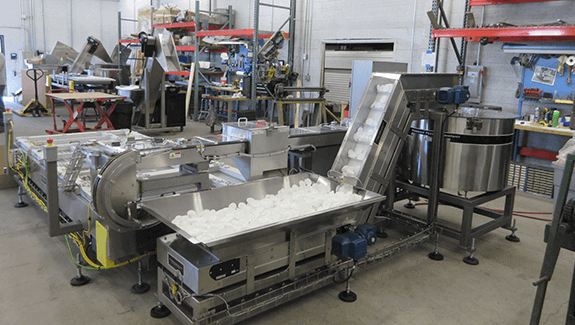 At Hoosier Feeder Company our hoppers and elevators are designed and manufactured with the entire feeder system in mind. We provide elevators and bulk hoppers according to customer specifications. 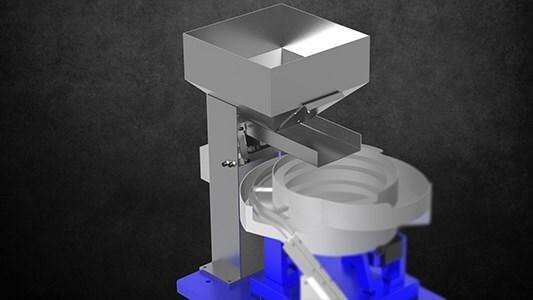 Specially-designed hoppers and elevators will allow storage of parts in huge quantities with lower load heights and can effectively store parts, in bulk, and deliver them on-demand to the parts feeders. 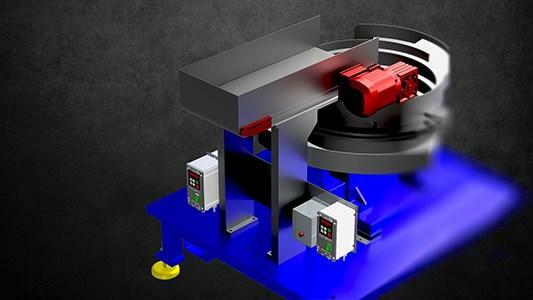 A robust pre-feeder that uses vibration to incrementally add parts to a vibratory feeder. 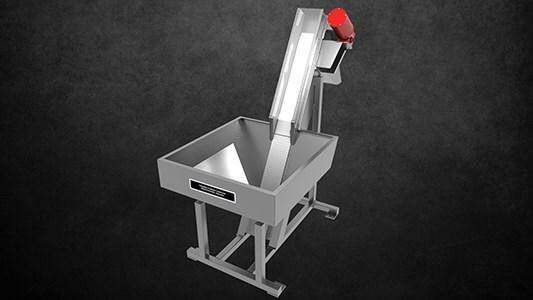 An industry standard pre-feeder (also known as a Drag-through elevator) with a low part-load-height, best suited for lightweight parts. 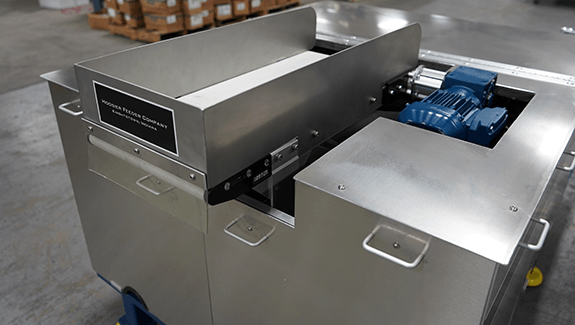 A pre-feeder that uses a storage bin and horizontal conveyor to drive stored parts into a feeder. 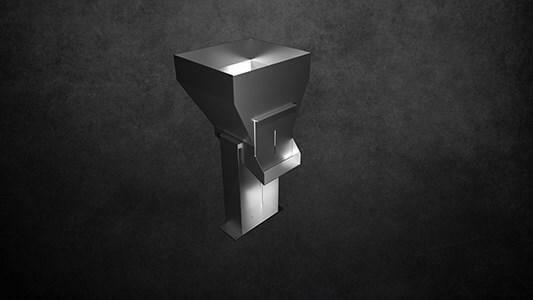 Pre-feeders designed to withstand heavy and sharp parts that bring all the benefits of a standard elevator with the robustness of a vibratory hopper. A pre-feeder utilizing a flat belt and low incline to feed primarily delicate large, heavy parts.